This statistic presents the share of internet users in the United States who have ever had any of their online accounts hacked. 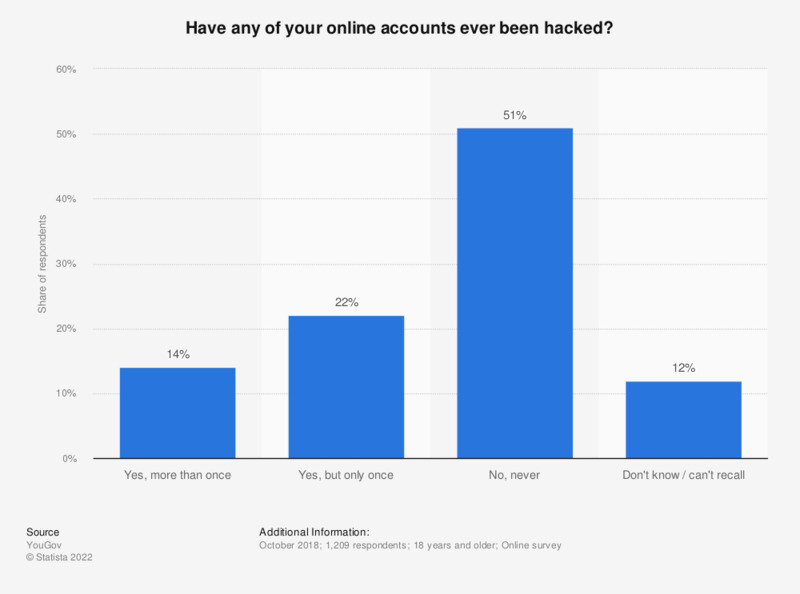 During the October 2018 survey, 14 percent of respondents stated that their online accounts had been hacked more than once. How would you rate your ability to actively spot scams, avoid viruses and deal with other security threats when using technology? How well prepared is your business against cyber security threats?